Is this a “Best of Hits” album? Is this the second coming of Elton John, but with more of an edge? Maybe even a lost Elton John album? Well obviously the answer is a definite no. Not since Icona Pop’s 2013 effort “This is…Icona Pop” and Foster the People’s 2011 debut “Torches” has there been such a stellar debut album in my opinion. By that I mean every song is superb. There is literally not one bad song on his debut self titled album Hozier. He was born Andrew Hozier-Byrne. There seems to be confusion on how to pronounce his name. The best way to describe it is it rhymes with cozy, then just add an ‘er’ at the end. Anyway, he’s an Irish born singer-songwriter at age 24. Just like George Ezra, who he’s touring with here in the states soon, his age doesn’t match the voice that comes out of his body! Hozier came out of nowhere last year with his now certified triple platinum song “Take Me to Church.” It peaked at #2 on the Billboard Hot 100 just a few weeks ago, and has been on the chart for 28 weeks now. It has also reached #1 on the US Adult Top 40 chart and #1 on the US Hot Rock Songs chart. Around the world the song has reached #1 in over 10 countries. After the music video went viral in the fall of 2013, he was instantly signed to Columbia Records. In case you’re not aware, “Take Me to Church” is his irritation with the Catholic Church and their stance on homosexuality and gay marriage. In a recent interview he explained further. “The song is about how sexuality and love are such a basic, integral part of humanity,” Hozier explained. Speaking of alone, he was far from it at the Grammy Awards just a few weeks ago. Although he went home unfortunately empty handed, he did however perform with the legendary Eurythmics lead signer Annie Lennox on stage. Toward the end of playing his hit song, Lennox came out to perform her rendition of the 1956 Jay Hawkins hit “I Put a Spell on You” which is now #97 on the Hot 100 this week thanks to a huge sales boost after her live performance. 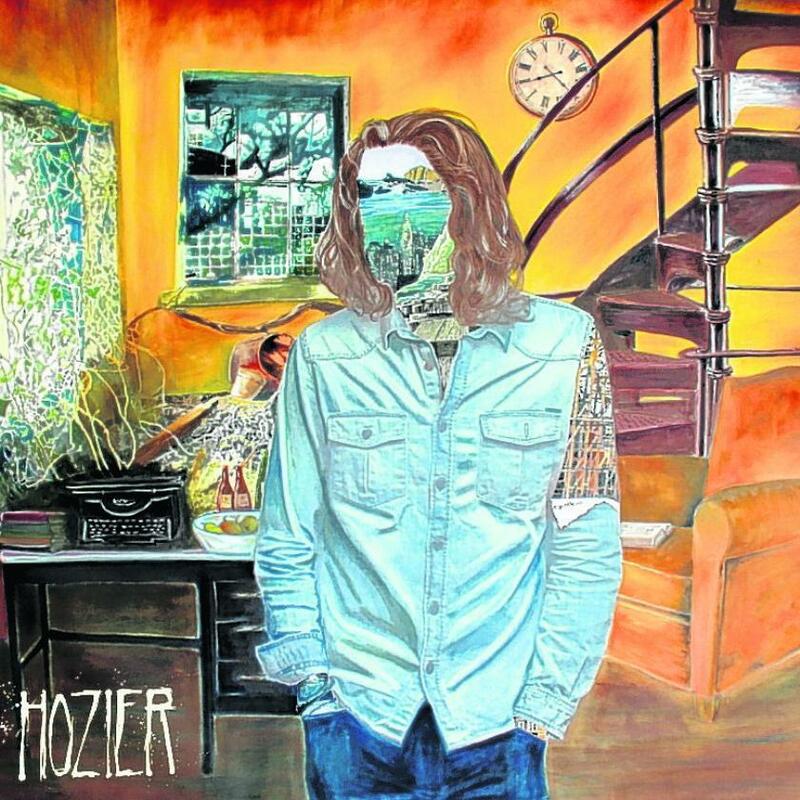 As stated above, the whole debut from Hozier is stellar. There is heavy R&B and Gospel influence in his music and lyrics. “Angel of Small Death and the Codeine Scene” is arguably just as good as “Take Me to Church.” It has not been released a single yet, but I predict it will be his next huge hit. If there is any weak song on this album it would be “Jackie and Wilson”, but it’s still a better song than most hit songs on any random mainstream artist’s album. “Someone New” is another superb standout. It’s catchy and feels like an early 1970’s “AM Gold” lost hit song. This could also be a potential future single. Like many of the other songs on this album, it features beautiful background chorus singers. It’s quite etheral. “In a Week” features a duet with unknown singer Karen Crowley is about a young couple who are found dead in a field. It’s a peaceful song and a change of pace on the album. “Work Song” and “Like Real People Do” have a much folky-er aesthetic vibe which comes across pleasantly. The last few songs pick up pace like the opening songs and then ends with a live version of “Cherry Wine”. If you haven’t had the chance to listen to this album all the way through, then it’s highly encouraged. It’s one of the best albums in the past two years and it will not disappoint. Hozier has an extremely bright future ahead. He may in fact be the next Elton John, although he is much different from him. Lastly, this man sings incredible live. There is nothing polished about him. I give this album a rare 5 out of 5 stars. 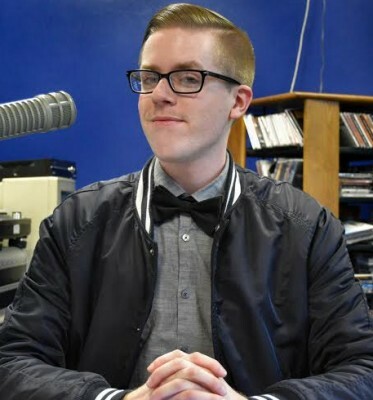 Eric Casey, Staff writer, political commentator and "music guru"